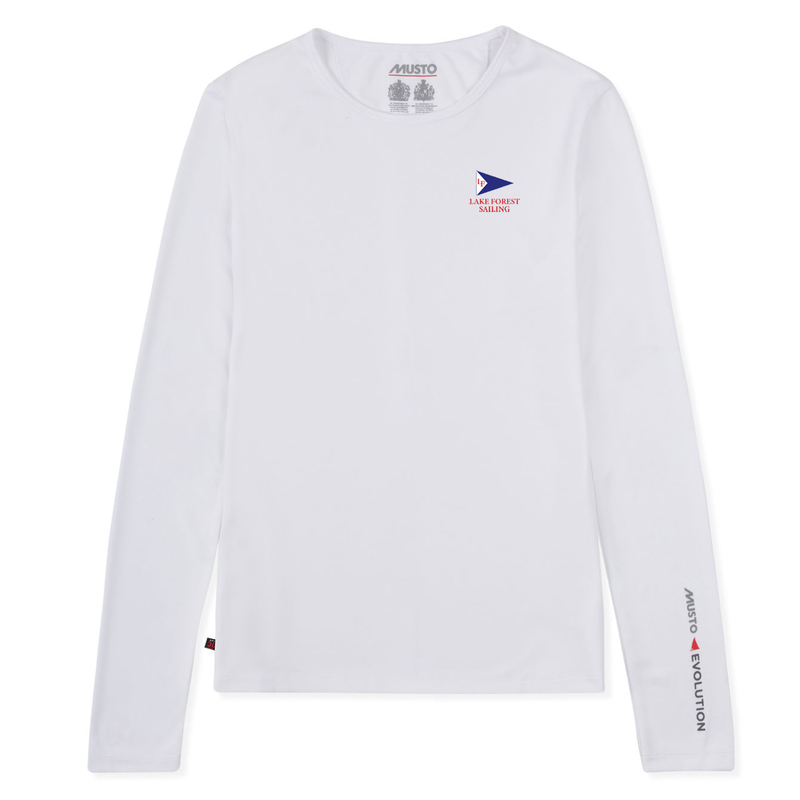 This women's long sleeve Musto tee has the Lake Forest Sailing logo sublimated on the left chest and back. The high wicking capabilities of this Women's SUNSHIELD Permanent Wicking UPF 30 Long Sleeve Tee are delivered through X-shaped polyester yarn at cross sections. This vastly increases the garment's surface area to ensure that more moisture is distributed across the fabric, which in turn increases the rate of evaporation. Unlike chemically treated wicking garments, SUNSHIELD garments are permanently wicking. This is because their performance comes from the thread itself, and not a treatment that is gradually degraded with every wash.